Guest Bio: Sandra is currently the Facility Manager for PresCare Alexandra Gardens in Rockhampton. She is a registered nurse with tertiary qualifications in Health and Nursing Administration. 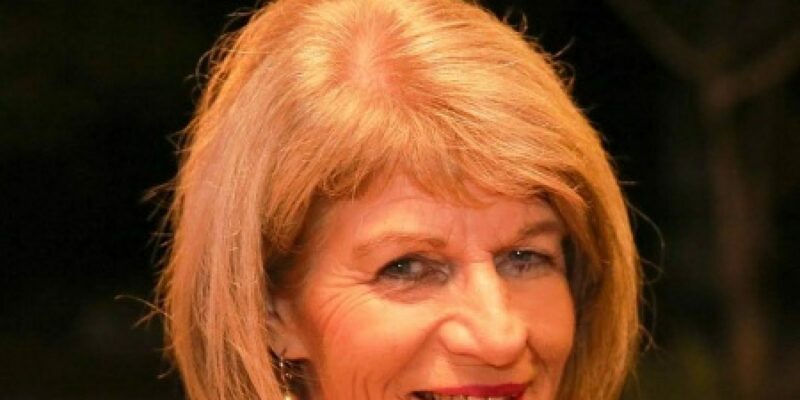 Her extensive career portfolio includes 7 years in aged care management, over 20 years working in the Queensland Public Health System working across a variety of local, regional and state roles including clinical, management, policy advisory, and research. Sandra is a Fellow of the RCNA and her passion is “Making a Positive Difference!” for residents. Segment overview: In today’s Health Supplier Segment, we are joined by PresCare Alexandra Gardens Facility Manager Sandra Thomson. Here she discusses the various services that they provide for Queenslanders which include residential, in-home community care and chaplaincy and pastoral care in metropolitan and regional areas. They also provide a variety of independent living options as well as a range of allied health services through their Day Therapy Centre as well as providing respite care and social connectedness programs in local communities. They have also developed a line of home-style meals and desserts under the name Contented Chef. Wayne Bucklar: You’re listening to Health Professional Radio. My name is Wayne Bucklar and today joining me today is Sandra Thomson. Now Sandra is the Chief Clinical Officer for Residential and Community Care of PresCare in Queensland Australia. And she’s a Facility Manager for their residential care facility, Alexandra Gardens in Rockhampton. Sandra welcome to Health Professional Radio. W: Now, Sandra PresCare may not be immediate obvious to listener when you put with it the residential care facility, it’s kind of makes more of a picture. But can you fill us in what is it that you do and where-abouts do you do it? S: Okay. PresCare is a ministry of the Presbyterian Church. And PresCare has been providing aged care services for over 85 years, residential aged care services and it also provides community aged care services. These services are located from Gold Coast right up to Cairns. There are six residential aged care facilities. There’s one at North Tamborine, there’s two in Brisbane, there’s two in Maryborough and there’s Alexandra Gardens in Rockhampton. It’s a very innovative organization, PresCare here at Alexandra Gardens in Rockhampton, the residential services that we provide include palliative care and sub-acute care. At the sub-acute care program is a program that we introduced in 2014, the reason we introduced sub-acute care was because of the rapidly expanding population of aged people. And that is associated with increasing preventable presentations to emergency departments. S: In every year around 10% of people living in residential aged care facilities will be transferred to an emergency department. And those transfers – they’re costly, they’re stressful for the residents and they’re often unnecessary and unavoidable. So we decided that to avoid those hospital presentations, we would implement a new program and we’ve had considerable success. I’ll explain firstly what is involved. S: We, its’ a 3-step traffic light system that enables our nursing staff to “detect, assist and provide early intervention” for eight common clinical conditions. And these are conditions that we identified were the major causes for hospitalization at this facility, prior to 2014. So conditions include urinary tract infection, delirium, chest pain, dehydration, falls, constipation and end of life. Now we also purchased a new equipment to enable the nursing staff to do more thorough assessments. And that equipment included vital signs, monitors, bladder scanner and an ECG machine. So we now have a skilled nursing service and a confident nursing staff that do have access to the resources that they can use to reduce unnecessary hospital transfers. Now in the first year, we reduced hospitalization for our residents by 65%. W: That’s a significant saving to the hospital system Sandra. strong>W: Spectacular result, isn’t it? S: Oh thank you. So there are benefits for our residences and their families, they don’t have to go through the disruption of going to hospital and when residents go to hospital they feel lost and lonely. It has the benefits for the hospital system because it reduces demand on already stretched resources and benefits for the staff because the staff have got the confidence, they’re skilled and happy. W: I can believe that and I’m very impressed with those figures. Sandra a lot of our listeners are clinicians of one kind or another both in your section in aged care but also in acute care and some general practitioners as well. What’s the message you’d like them to take away today, as a result of having heard you on the radio? S: We can do great things in aged care. There is a misconception, I think in the community the aged care is not interesting, it’s mundane and staff prefer to work in the acute sector, because it’s more exciting. I came to work in aged care 9 years, 4 months ago, for 12 months and I’m still here. I’m still here because it is extremely rewarding and some of the results that we’ve been able to achieve for our residents are highly motivating. W: Yes, I can believe that. Now Sandra in every interview this is my favorite question and it has to do with misconceptions. What’s the biggest misconception amongst your clients, customers, patients, colleagues, that drive you nut and keep you awake at night? S: That aged care is the poor cousin to acute care, it’s not the case at all. It’s just as important. When the residents arrive here we’re the planning to care for the rest of their life and we need to provide the best care, the best quality care and avoid any disruption to the care that they need. W: And I can understand why that would be an issue for you and let’s hope that today we’ve been able to dispel a little bit of that amongst our audience at least. It does sound like you’ve achieved great results and it’s an exciting environment to work in. W: Now my guest today is Sandra Thompson. 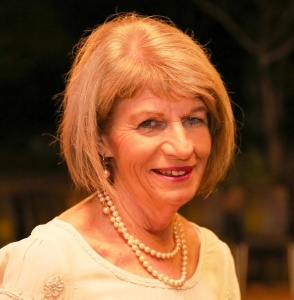 And Sandra is the Chief Clinical Officer for Residential and Community Care of PresCare at a Facility Manager for the Residential Care Alexandra Gardens in Rockhampton. Sandra I do appreciate your time today, thank you for being with us. If people want to get in touch with you, is the website the best place to go? W: So that’s www.prescare.org.au. Now the good news is if you’ve missed my chat with Sandra today, we have some good news. There is a transcript on our website that you can read, there’s also an audio archive both on SoundCloud and on YouTube. And you can connect with all those resources at the Health Professional Radio website www.hpr.fm. My name is Wayne Bucklar and you’ve been listening to Health Professional Radio.